High quality 2.35mmØ DC power plug with a soft black plastic cover and integral cable strain relief. 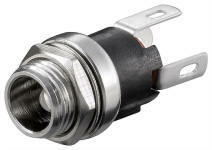 High quality 3.4mmØ DC power plug with a soft black plastic cover and integral cable strain relief. High quality 4.0mmØ DC power plug with a soft black plastic cover and integral cable strain relief. High quality 4.75mmØ DC power plug plug with a soft black plastic cover and integral cable strain relief. High quality 5.5mmØ DC power plug plug with a soft black plastic cover and integral cable strain relief. High quality 6.3mmØ DC power plug plug with a soft black plastic cover and integral cable strain relief. High quality 5.5mmØ DC line sockets, available with 2.1mmØ and 2.5mmØ centre pin. Soft black plastic cover and integral cable strain relief. Chassis mounting plastic DC power sockets with integral switch, available with 2.1mmØ and 2.5mmØ centre pin. 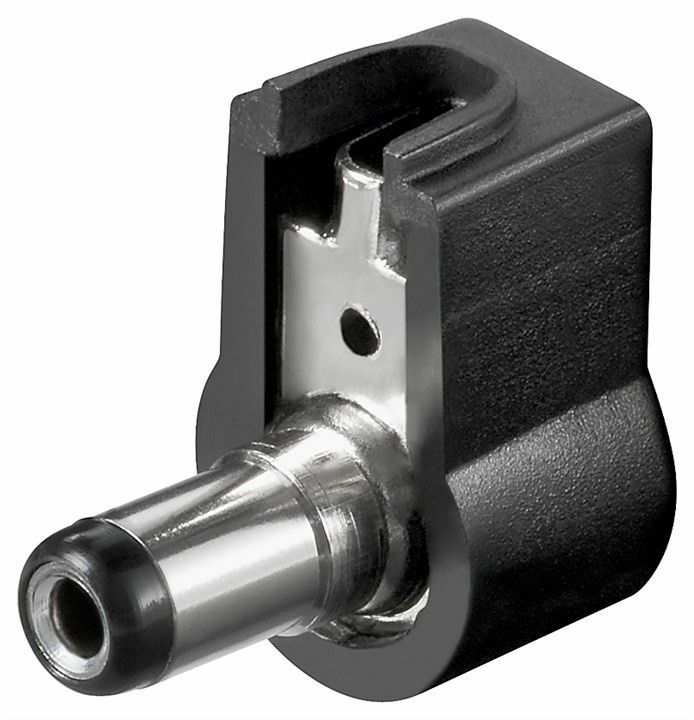 Chassis mounting metal DC power sockets, available with 2.1mmØ and 2.5mmØ centre pin. PCB mounting plastic DC power sockets with integral switch, available with 2.1mmØ and 2.5mmØ centre pin.